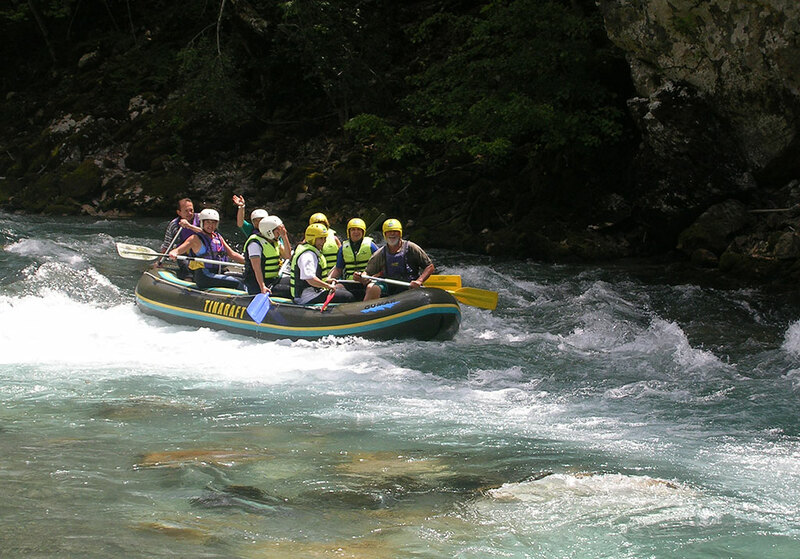 Rafting down the pure waters of the Tara river is a great experience every guest should try! 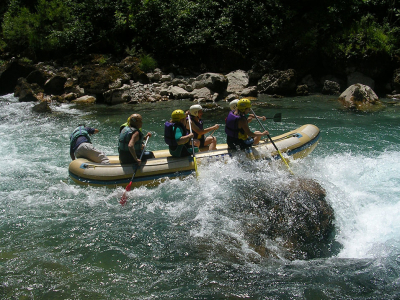 At 1300 m in height the Tara Canyon is the second deepest canyon in the world, second only to the Grand Canyon in the USA! 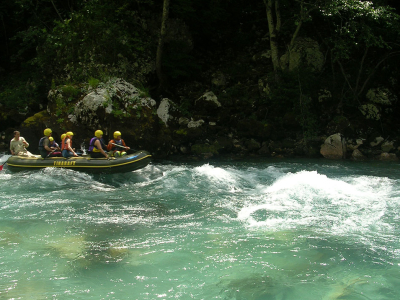 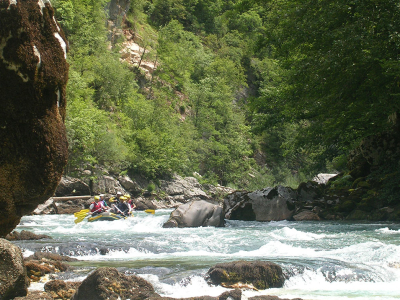 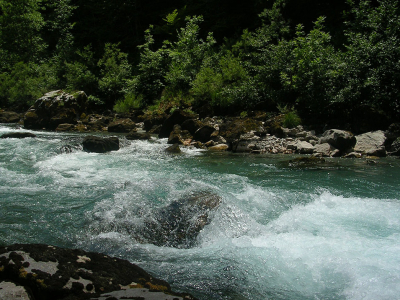 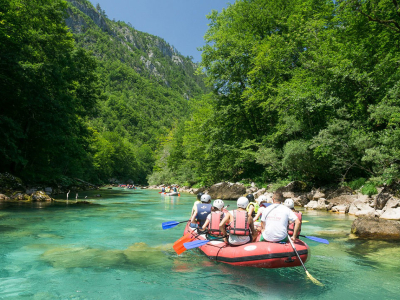 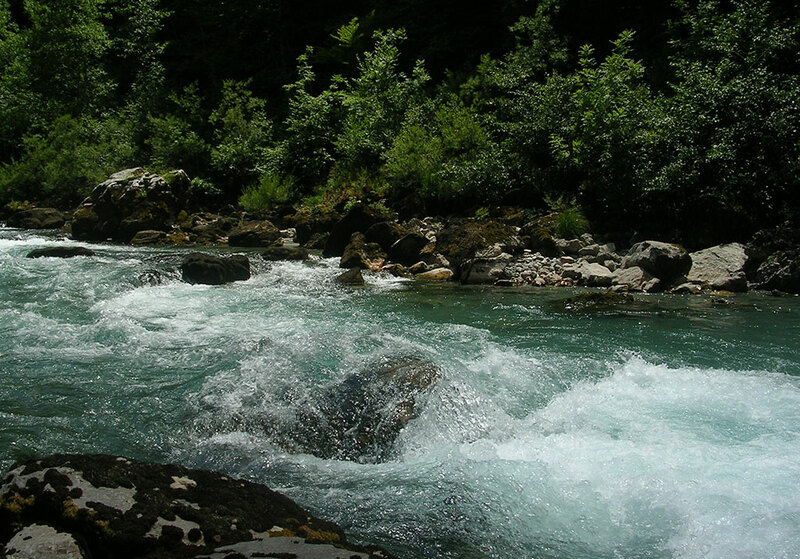 The Tara River is only a short 25 minute drive away from the camp and is listed as a UNESCO world heritage site, with rafting on the Tara river as one of the most popular tourist activities for all visitors to Montenegro. 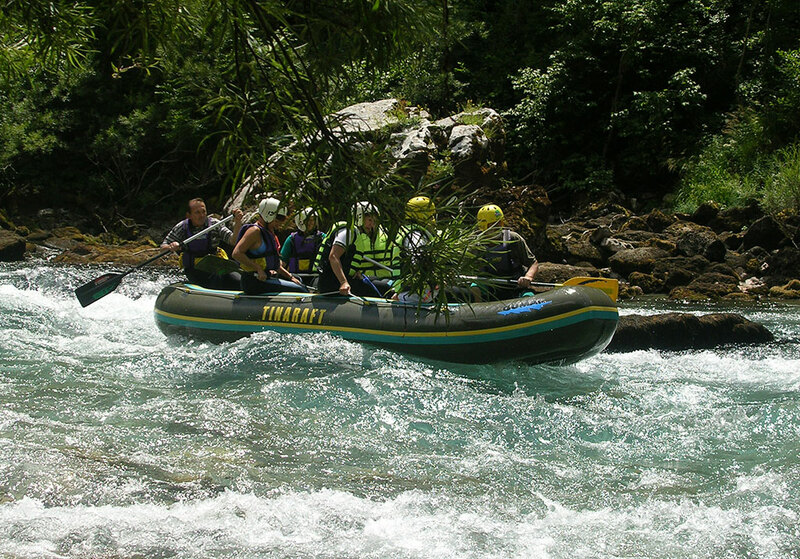 We offer our guests this premium rafting activity as part of our weekly package stay, through our rafting partners that have 30 years of experience and are extreme professionals. 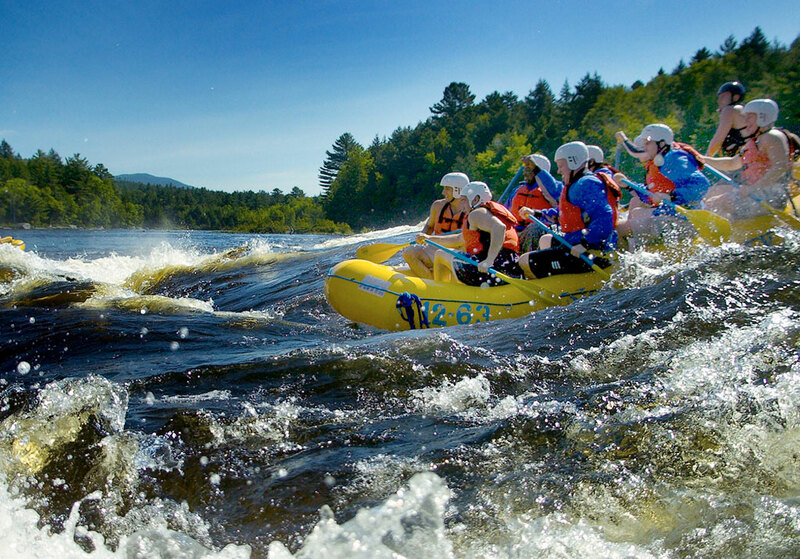 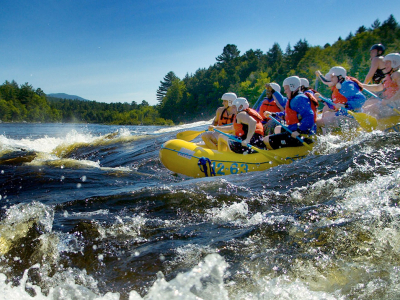 The rafting activity includes all high quality equipment, which is designed for extreme rafting (neoprene suits, neoprene boots, life vests, helmets). 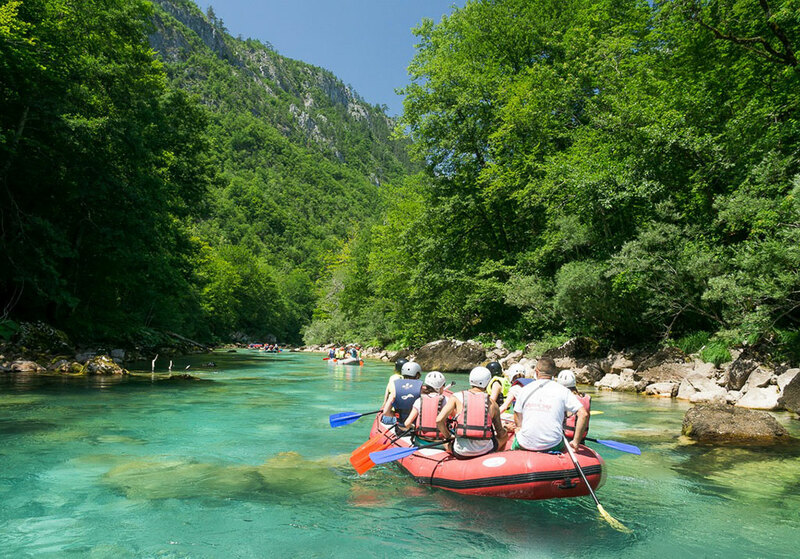 The Tara river is the most attractive canyon in Europe and is rich in nature; with beautiful waterfalls, wild tributaries and thick forests! 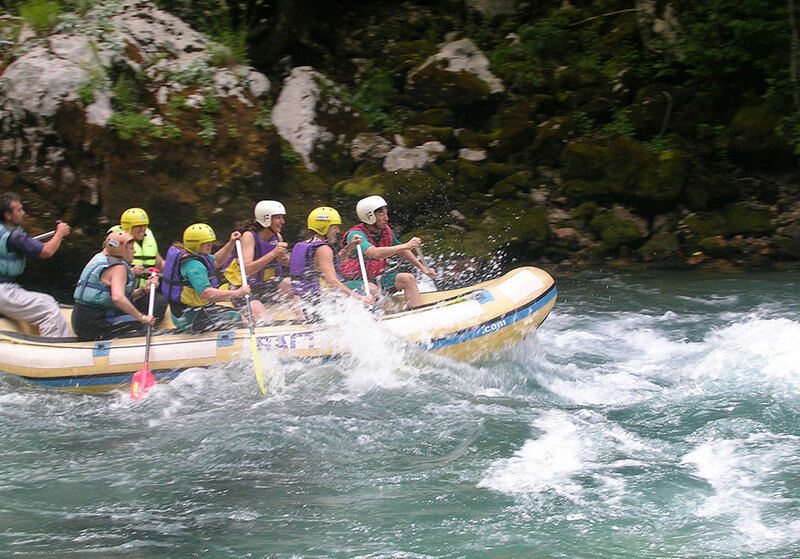 The activity of rafting is a wonderful experience that will stay with all our guests forever, so hop on board and join the rapids for an excellent time! 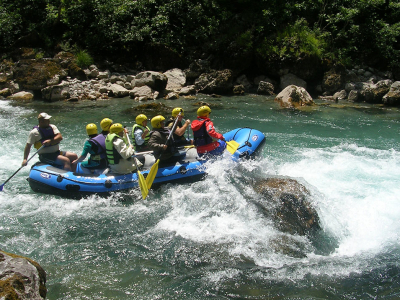 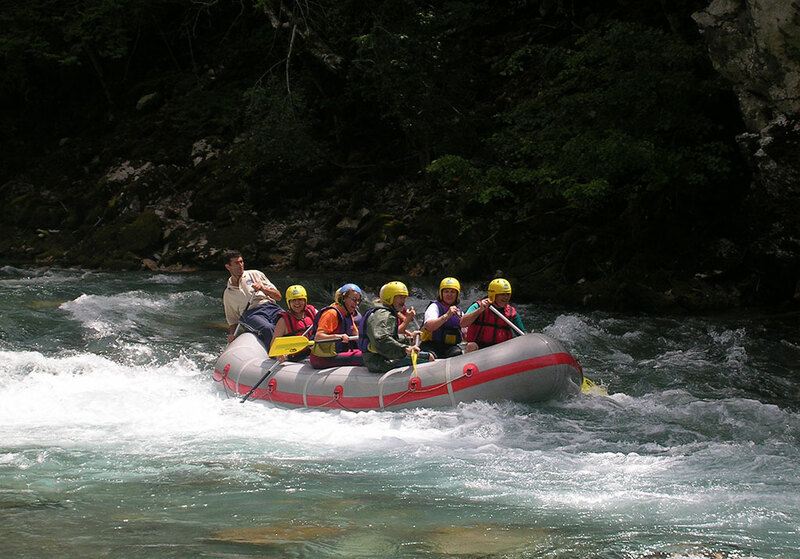 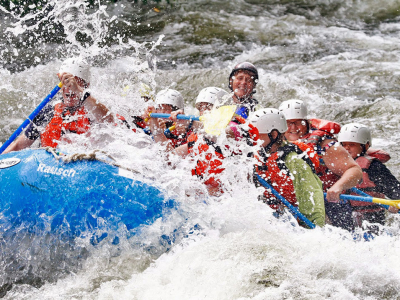 We have included a Premium rafting activity into our weekly package stay. 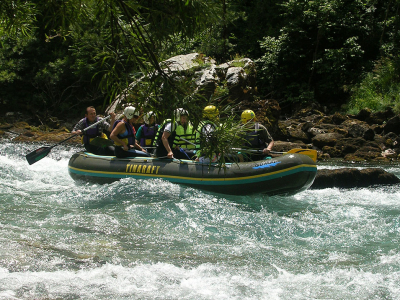 However our guests might wish to take a more detailed tour of the Tara River, with longer rafting tours, 2 day trips or wooden rafting. 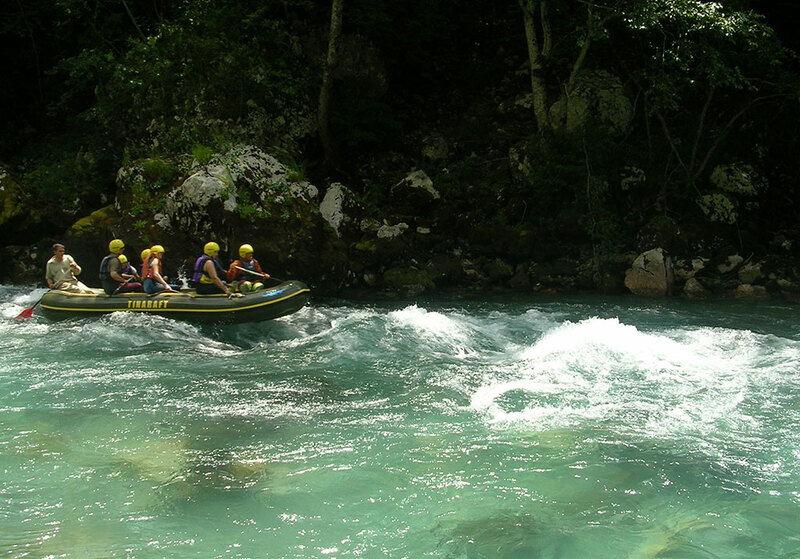 Whichever optional rafting experience our guests wish to choose, they will surely have an unforgettable adventure! 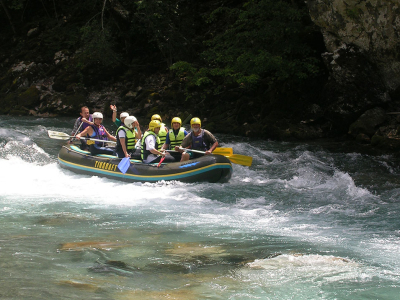 *Premium rafting activity which is included in our weekly package stay is the Zugica Luka Tara route, with a distance of 12 km, lasting two hours and 30 minutes, lunch at base camp on the Tara River and transportation of guests from Zabljak to the starting point and transfer return to our complex in Zabljak. 13.30-14.00 pm Finish Rafting and head to base. 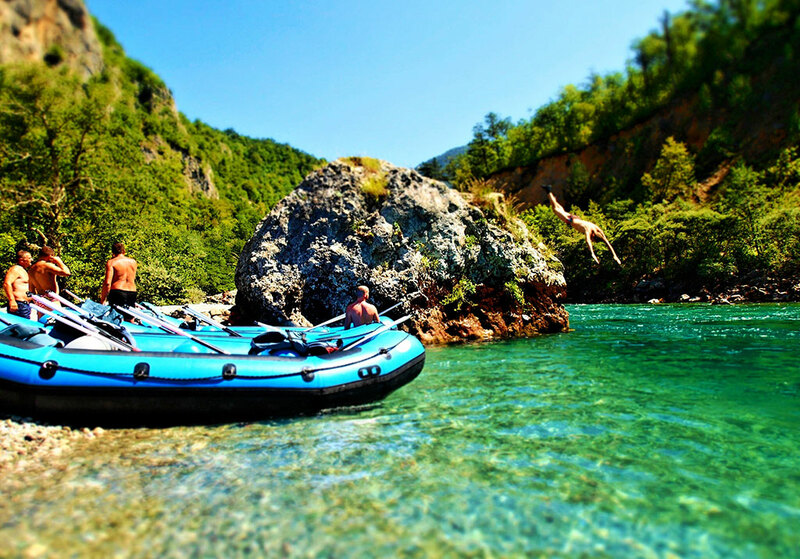 Change from wet suits to dry clothing. 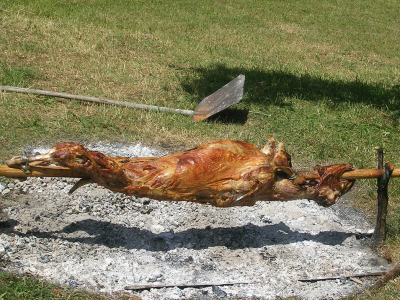 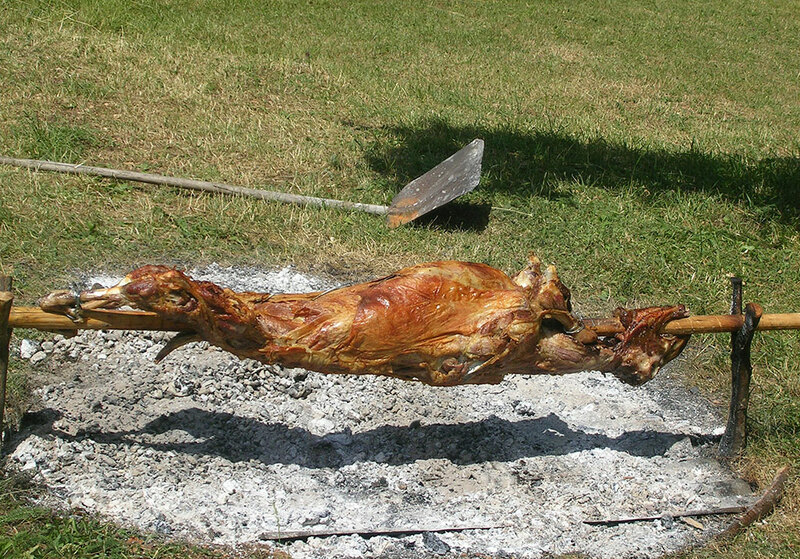 14.30-15.30 pm A Traditional Montenegrin Lunch is served. 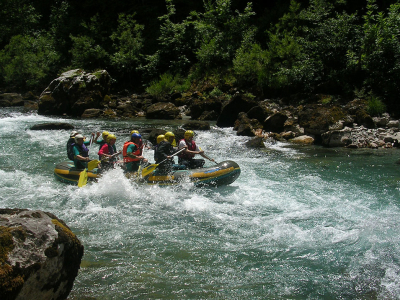 Rafting Tour 1: Radovan Luka Rafting Tara route, with a distance of 36 km, lasting a minimum of six hours, with lunch and transportation of guests from Zabljak to the starting point and return to our complex in Zabljak. 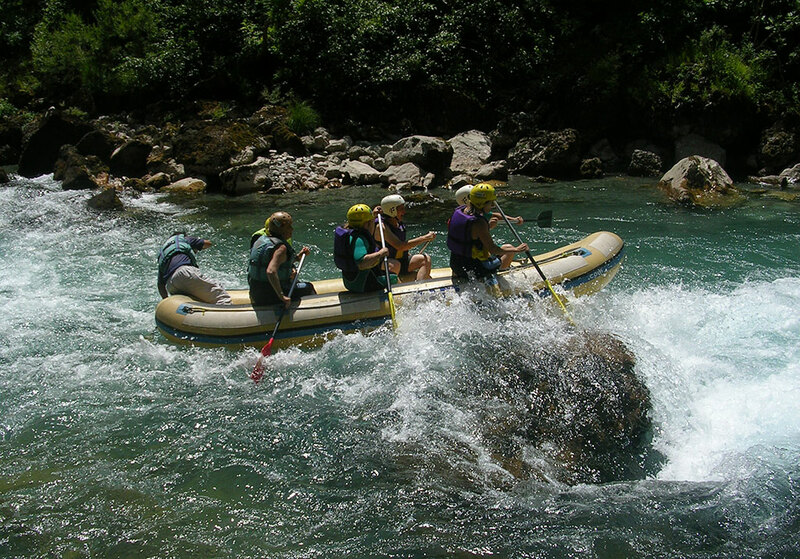 This activity has a minimum number of 5 persons. 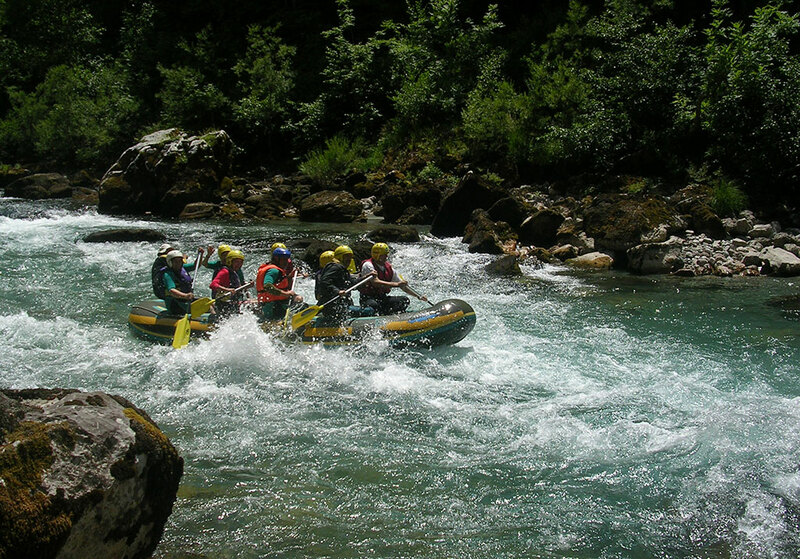 Rafting Tour 2: Scepan Polje Rafting Tara route, lasting for two full days, with a distance of 76 km, with board provided (sleeping in wooden cabin and meals), transportation of guests from Zabljak to the starting point and return to our complex in Zabljak. 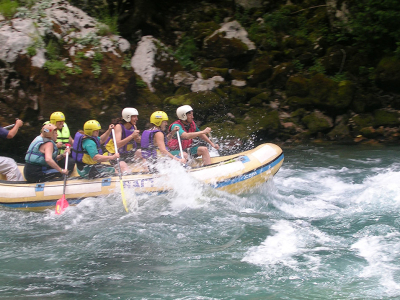 This activity has a minimum number of 5 persons.